On the right : 30 keys, 3 voices, 5 couplers. The couplers allow 5 different sounds. 3 voices : double medium + single low octave reed. On the left : 96 bass, 2 automatic couplers. 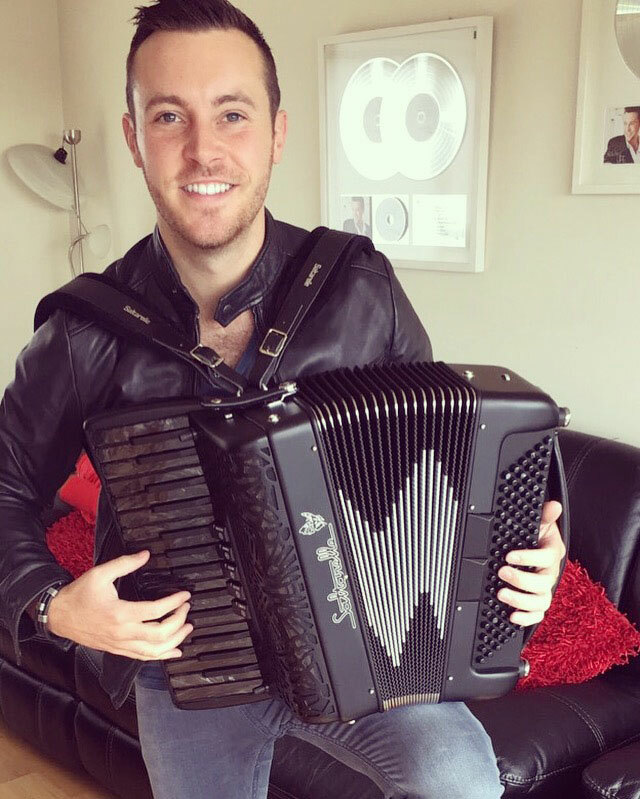 It's a very compact 96 basses accordion that allows a dynamic and frantic play on stage. Its innovative look was also created according to Nathan's request. 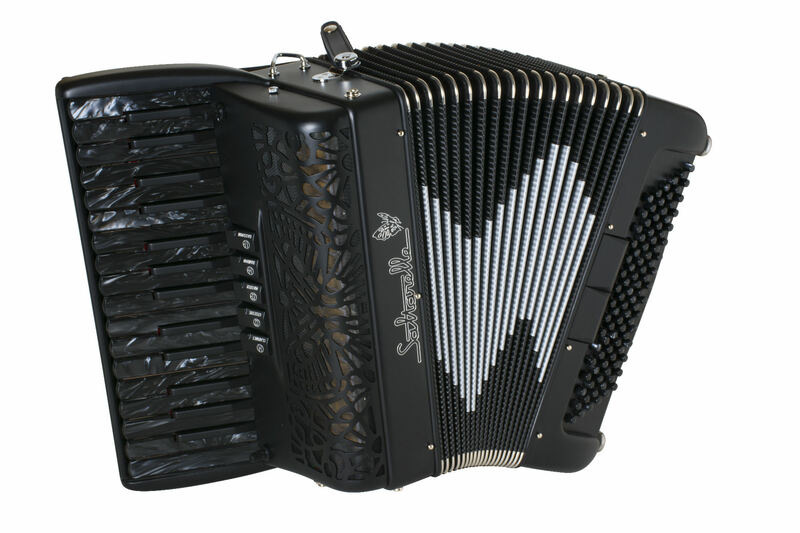 The dark mother of pearl effect keys along with this new dark mat painting enhance the mysterious and intense look of this accordion. This kind of mat painting is available on all of our accordions and in every color.